Alabama, failed to inspire the GOP faithful. They weren't buying what Trump was selling. I can hear the excuses now. Lamb ran as a Republican-lite. Saccone was a horrible candidate. Yeah, so what? The fact is District 18 is a heavy, heavy Republican district. When the numbers are that stacked in the GOP's favor, the Democrats cannot win a district simply by running a candidate who talks like a Republican even if the GOP fields a candidate who can't walk and chew gum at the same time. 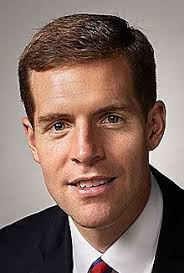 Make no mistake about it...what gave Conor Lamb a shot at victory is the unpopularity of Donald Trump. Trump's presidency has been an unmitigated failure. For 14 months, the Trump administration has teetered from one crisis to another, with the President taking pains to alienate every demographic group with the exception of under-educated white men. 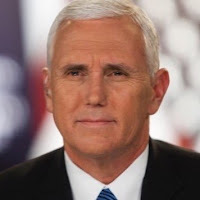 While Republicans still back Trump by 80% plus, the fact is independents, those people who voted for Trump because they couldn't stand Hillary, have long ago left and they show no sign of coming back. Trumpers don't get that. They think Donald Trump won some sweeping victory on November 8, 2016, when in fact Trump only won a narrow victory in the Electoral College because he faced the most spectacularly unpopular candidate the Democrats could find. For Trumpers, the approaching blue wave due to hit the shores on November 6th (which even they must by now admit is coming) surely must be someone else's fault. How about George Soros? Nancy Pelosi? Chuck Schumer? Bob Mueller? Paul Ryan? Mitch McConnell? Lord knows the Kool-Aid drinking Trumpers will never actually hold the President responsible for anything. The ethos of "personal responsibility" does not apply when the leader of your cult is named Donald J. Trump. But it should. Trump and his embarrassingly incompetent and scandal-riddled tenure is destroying the party I have believed in and supported since my 18th birthday. It will take a generation to rebuild the Republican party post-Trump. The sooner that process begins the better. No, I'm not talking about the firing of Secretary of State Rex Tillerson this morning. That was not unexpected. 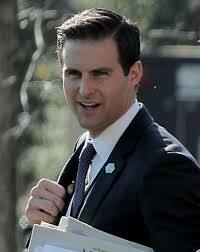 President Donald Trump's personal assistant, John McEntee, was fired Monday for unspecified security reasons and was removed from the White House, according to a Tuesday report from The Wall Street Journal. He has now joined Trump's re-election campaign as a senior advisor. Trump 2016 campaign spokeswoman Katrina Pierson is also joining the 2020 re-election campaign as a senior advisor. "Katrina and John will play pivotal roles on our campaign once again as we develop a winning strategy through 2020 to Keep America Great," said Michael Glassner, the campaign's chief operating officer. "They will also contribute tremendously to our national engagement in the mid-term elections this year. We're delighted to have them back on the team." McEntee, who served on Trump's winning presidential campaign beginning in 2015, joined the Trump administration after the election. He was escorted off the White House grounds on Monday over an "unspecified security issue," the Journal reported, citing sources. A CNN reporter later tweeted, citing a source familiar with the matter, that McEntee was terminated because the Department of Homeland Security is investigating him for "serious financial crimes" that are not related to Trump. Thus far, most of the focus on Election 2020 has been on the Democratic side as scores of possible candidates appear on the verge of tossing their respective hats into the ring. What though has gotten loss coverage is the fact that things are heating up on the Republican side as well. Arizona Senator Jeff Flake is attending a "Politics and Eggs" event in New Hampshire on March 16th where he will give a speech titled "Country Over Party." John Kasich’s inner circle is gearing up for a possible presidential run in 2020 — actively weighing the prospect of a Republican primary challenge to President Donald Trump against the feasibility of a long-shot general election campaign as an independent. And there’s one consideration driving their thinking perhaps more than any other: what some of his advisers consider the very real, maybe even likely, possibility that Trump doesn’t run again — by choice or not — or that the president becomes so politically hobbled by late next year that the political landscape fundamentally shifts in Kasich’s favor. That’s one reason Kasich has yet to decide whether to pursue an independent bid or a primary challenge. 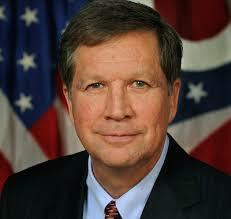 Nine Republicans in or close with Kasich’s political operation told POLITICO that the departing Ohio governor has been working with a tight clutch of advisers and informally surveying donors and fellow pols about the shape of his next steps. So far, he has solidified his role as a go-to commentator for national news shows while stacking his schedule with trips including an April return to New Hampshire. Donald Trump right now has a cult-like grip over 80% of the shrinking GOP electorate. Falke and Kasich would not have a chance to win if they ran today. Undoubtedly Flake and Kasich know that and they are betting that Trump won't be as popular with Republican voters on the first day of 2018 as he will be come the Summer of 2019, when the Presidential race heats up in earnest. That's not a long-shot gamble. The Mueller investigation appears to be getting closer and closer to President Trump. That the independent counsel will end up concluding that Trump or, at least, people very close to him, engaged in a conspiracy with Russians to win the 2016 election, accepted bribes to influence policy, money laundering, obstruction of justice and other criminal activity appear much more likely than they did even a month ago. In the end, I think it only 50-50 Donald Trump even completes his term, much less runs for re-election. Even if Mueller did not spoil the Trump GOP Kool-Aid party, there appears to be a looming disasterous midterm election for Republicans which would flip control of the U.S. House to the Democrats and make 2019 a year of impeachment and other investigations of the Trump Presidency. I could definitely see Trump choosing to leave in 2019 rather than deal with that. Better to go out an electoral winner than face that and the distinct possibility of losing in 2020 when the Democrats undoubtedly field a much stronger candidate in a more favorable political climate. Democratic candidates on Tuesday won two special elections for state legislative seats in the Northeast, another indication for the party that a blue wave is forming ahead of November's midterm elections. (D) over Republican Les Cartier, a former state employee, in a district President Trump carried by a 13-point margin in 2016. In Connecticut, Democrat Philip Young defeated Republican Bill Cabral to win a Stratford-based district that has been in Republican hands for decades, even though Democratic nominee Hillary Clinton carried a narrow plurality there in 2016. The wins Tuesday night extend the Democratic advantage in special elections held since Trump was inaugurated last year. In 2018 alone, Democrats have won Republican-held state legislative seats in Wisconsin, Florida, Kentucky and Missouri. The New Hampshire seat is the fifth Democrats have taken from Republicans since Trump's inauguration. Tuesday's elections now makes 39 state legislative seats that have flipped from Republican to Democrat since Trump's election. While the Republicans did hold a Lexington, Kentucky area state house seat on Tuesday by some 34 points, it is a district that Trump won iby 62 points, thus the election represented a 28 point swing in the Democrats' direction. That is consistent with the average 27 point swing to the Democrats in state legislative races since Trump's election. It should be noted that in most congressional, state legislative and state-wide races, Donald Trump ran behind other Republicans on the 2016 ticket. Indiana was one of the few exceptions as Trump proved to be more popular than most GOP candidates in the Hoosier state.